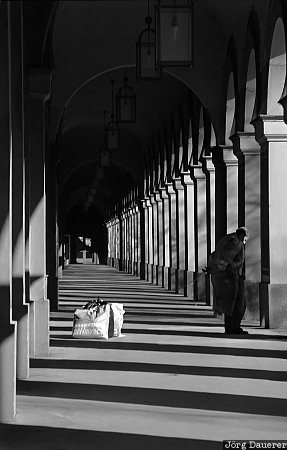 A beggar an arcade in the Hofgarten in downtown Munich the capital of Bavaria in southern Germany. Hofgarten surrounds the city residence of the Bavarian Kings. This photo is part of the exhibition Shadows (June 2007).